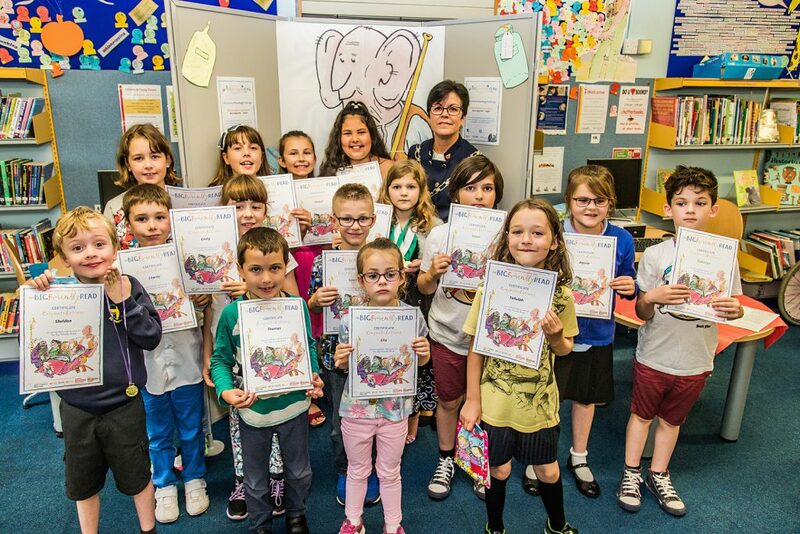 Congratulations to children from the Kingswood area, pictured at their local library receiving medals and certificates for successfully completing The Big Friendly Read, Summer Reading Challenge 2016. Chair of South Gloucestershire Council, Cllr Erica Williams, was on hand to present the children with their awards at a special event at Kingswood Library on Roald Dahl’s 100th birthday, Tuesday 13 September. The group represented more than 6,600 children in South Gloucestershire who have taken part in this year’s event at libraries throughout the district. More than 70 volunteers have supported children taking part in the challenge by listening to them talk about their books and helping with the activities in the library. To recognise their contribution, a group of young volunteers were also awarded with certificates by Cllr Williams at the event.